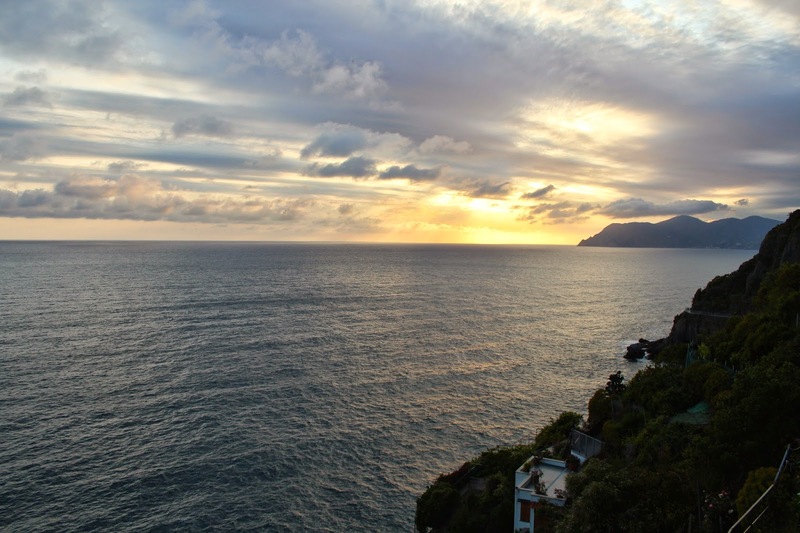 Located on the Mediterranean coast in the northern part of Italy, you can get to Cinque Terre by taking a train from Pisa or Florence to La Spezia. 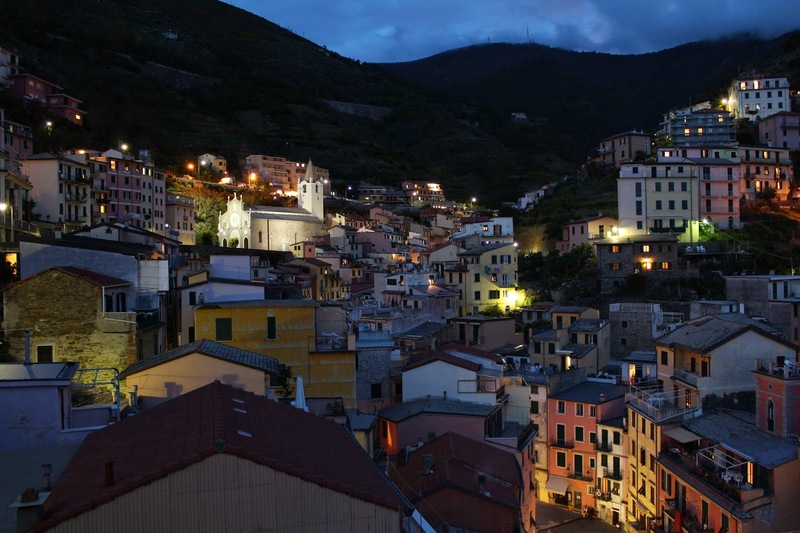 Frequent short-distance trains connect La Spezia to the five villages of Cinque Terre. 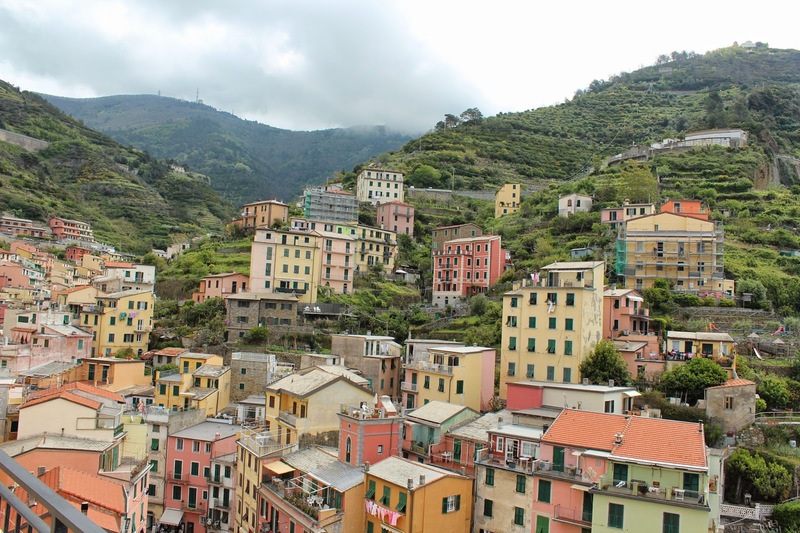 We stayed in Riomaggiore and visited the other villages by taking the train. 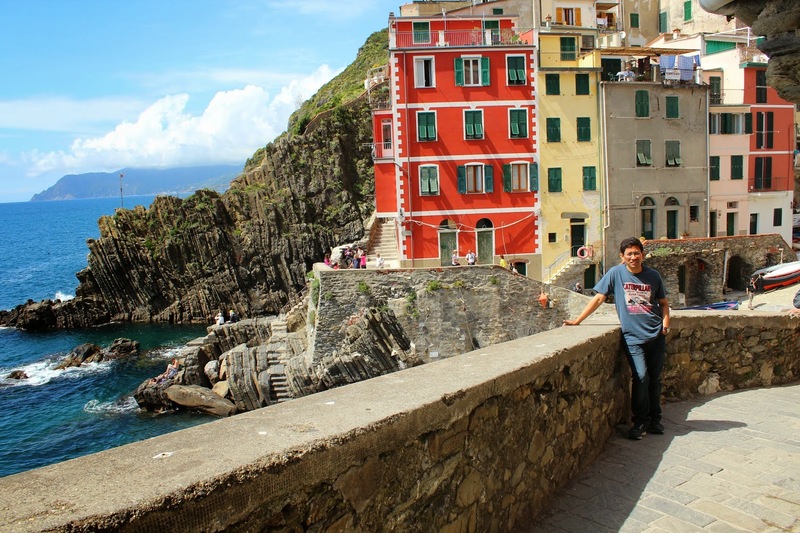 This place is a trekker’s paradise; if you are one, plan your trip accordingly. The views are spectacular, but be aware that the trails are steep and can be closed at times. 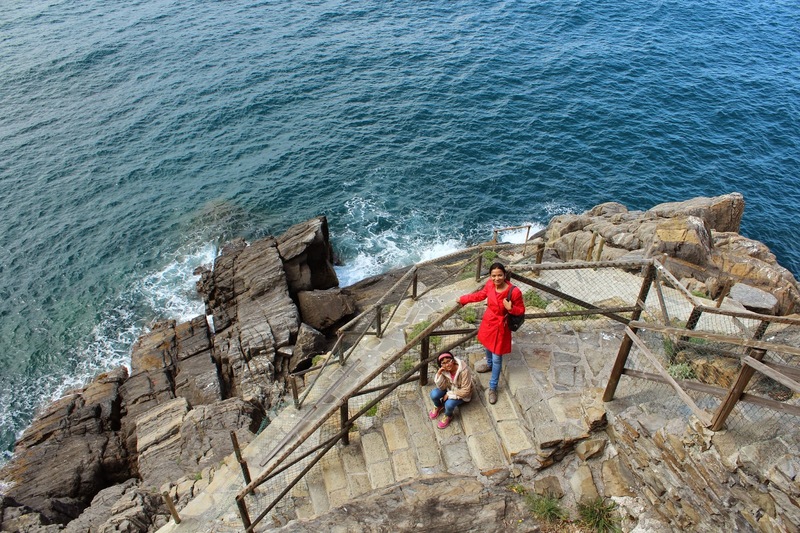 We spent the first day walking down the steep pathways from our apartment at the top down to the rocky shoreline far below. The deep blue of the Mediterranean Sea turned turquoise near the shoreline before disappearing under the foamy, white of the waves breaking up on the large rocks. The sea was rough and therefore bereft of fishing boats. The dramatic panorama around us made for a lovely sight. The vertical pathways wound past cute little cottages built on the hillside with their little gardens bursting with flowers and fruit. Lemon trees were heavy with fruit and wild poppy were everywhere - the bright yellow and orange colours brightening up the green and black hillside. When it was time to get back, we realised the climb was going to be a lot more work but we were in no hurry. We took breaks, tracked the sea-gulls, and watched spellbound as the sea changed colours with every passing hour. The next day, we looked up TripAdvisor to get a recommendation for lunch. 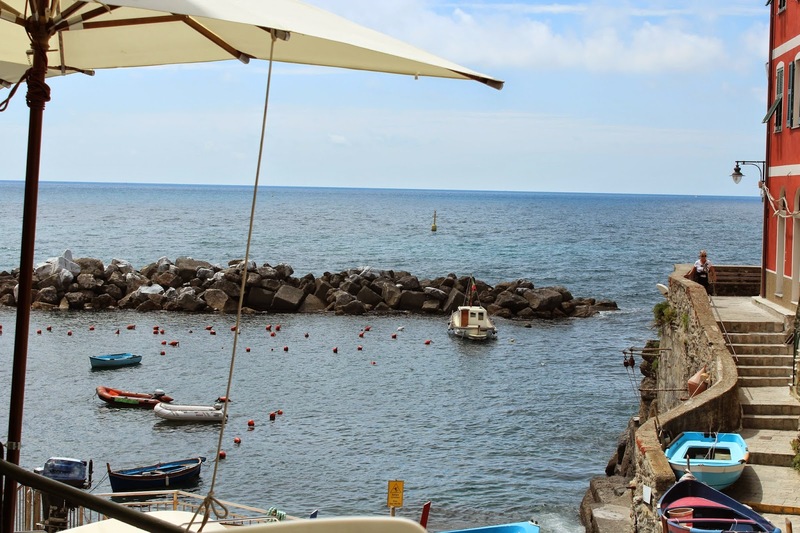 Enoteca Dau Cila, listed as the #1 restaurant in Riomaggiore, is located at the harbour overlooking the blue waters and boats. 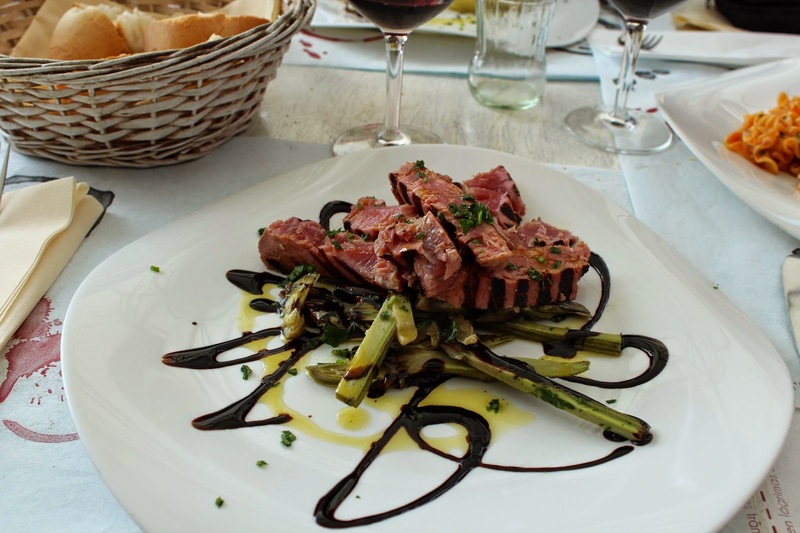 We enjoyed a leisurely lunch here of seafood and lazily sipping local wines. My entree of seared tuna dish was particularly memorable. 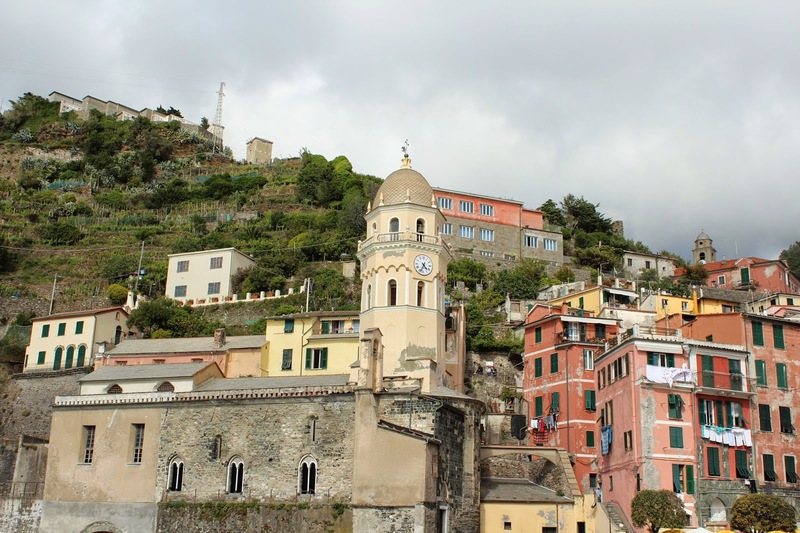 While most tourists say Vernazza is the prettiest one among the five villages, we actually liked Riomaggiore the most. This maybe because we had booked one of the best spots in town. 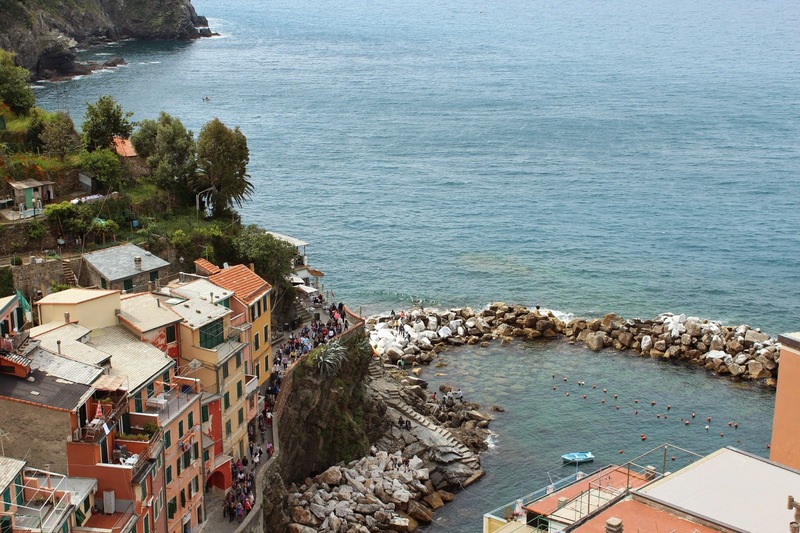 La Baia di Rio is a small set of apartments rented by a mother-son duo. You can’t go wrong by renting the Marco Polo suite with its exceptional views of the hills and oceans. 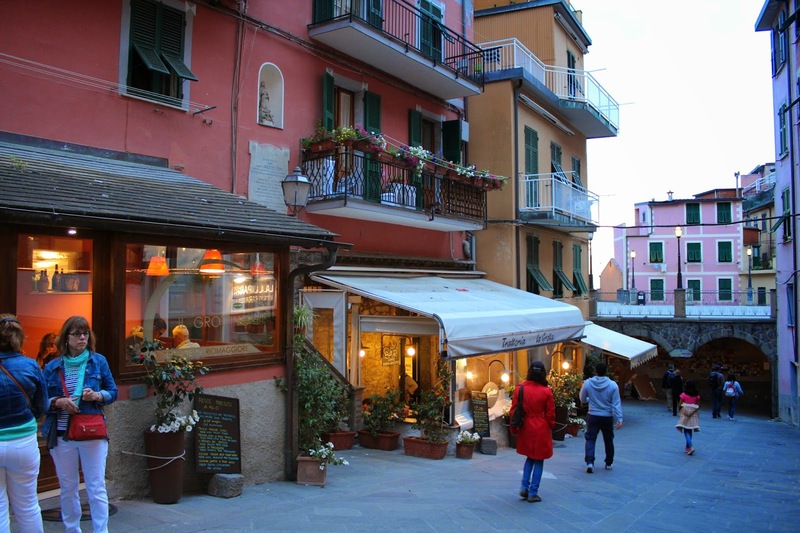 Among the other villages, we spend most time at Monterosso, the largest and the only one with a beach. 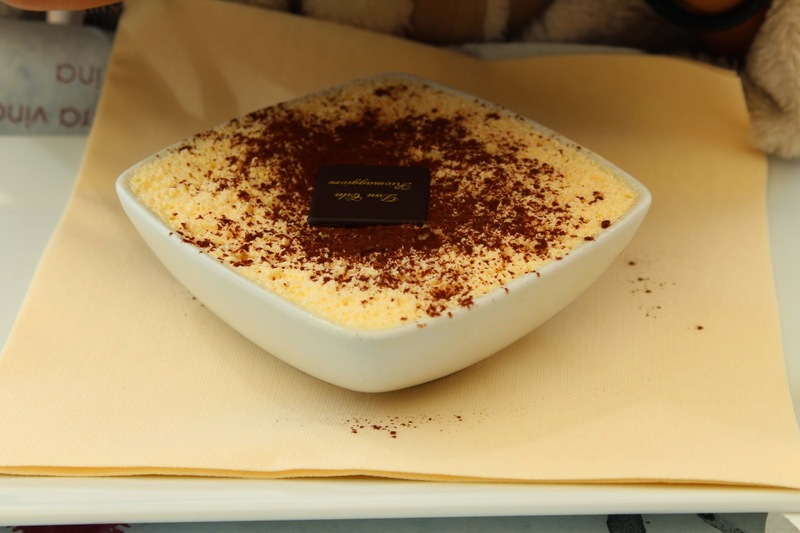 We walked into Nuovo Eden, overlooking the beach and had some pasta and Italian salad before trying one of their surprisingly good gelato. Before we knew, it was time to head back. We needed to make sure we catch the afternoon train in time to make our connection at La Spezia. We reached Florence late in the evening but it wasn’t dark yet. Interestingly, during this entire vacation we had daylight all the way from 6 AM to 9 PM which was nice. The temperature was perfect and the rains gods were kind too!